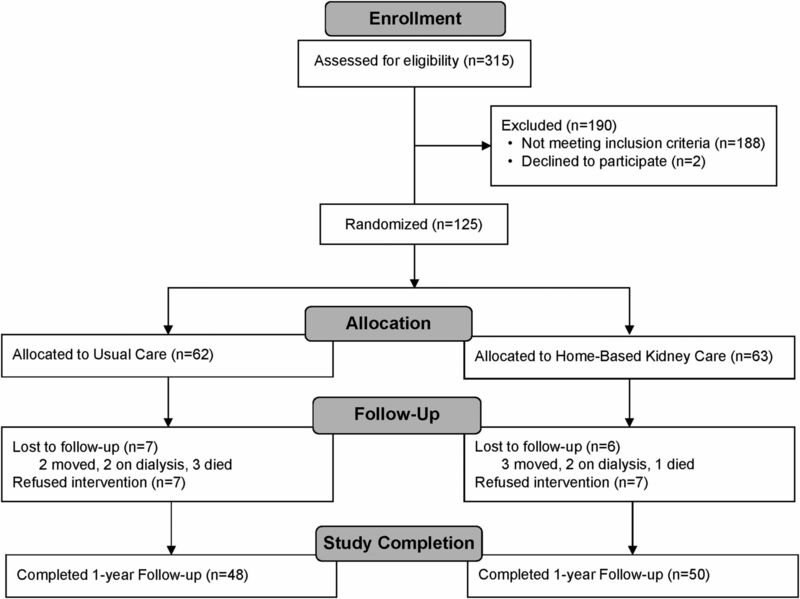 The flow chart of the study population describes the enrollment, randomization, and follow-up of the study participants according to treatment assignment. All participants who completed the baseline and 12-month follow-up visit were included in the analysis. 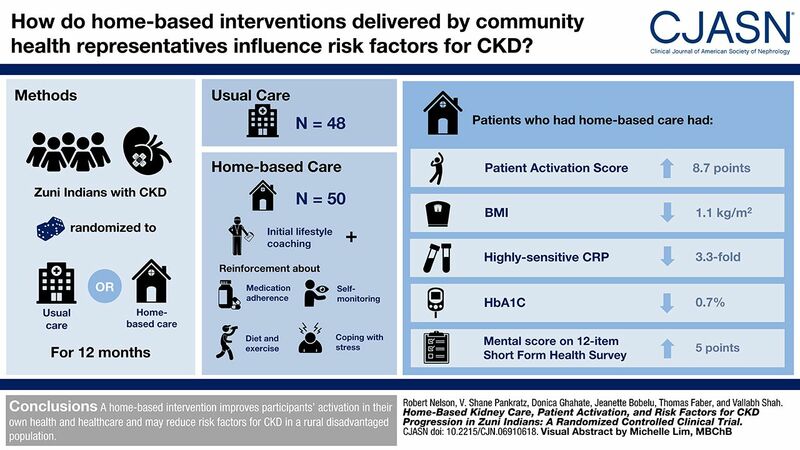 The patient activation score improved in those receiving home-based kidney care during the 12-month intervention but did not improve in those receiving standard care. The left panel shows absolute values at baseline and after 12 months of treatment. Participants will fall along the diagonal line if there is no change in patient activation score over time. The white circles represent the usual care group, and the black circles represent the intervention group. The right panel shows the change from baseline by treatment group. The white bars represent the usual care group, and the black bars represent the intervention group. PAM, patient activation measure. ↵a Median and interquartile range. ↵b Use of the Morisky Medication Adherence Scale is protected by United States copyright laws. Permission for use is required. A license agreement is available from Donald E. Morisky, Department of Community Health Sciences, University of California, Los Angeles School of Public Health, 650 Charles E. Young Drive South, Los Angeles, CA 90095–1772.